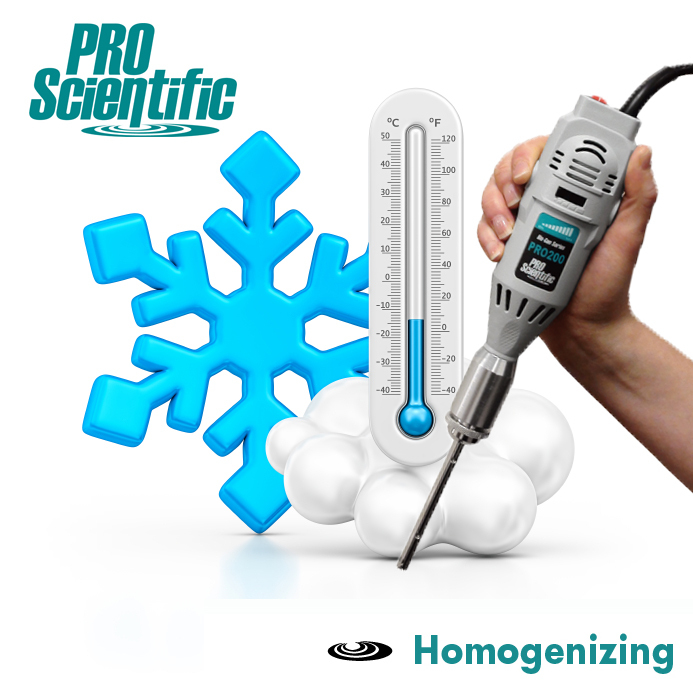 Homogenize a frozen or cold sample quickly without denaturing your sample. Need to homogenize a frozen or cold sample? Worried about your sample denaturing? Our PRO Homogenizers love the cold! Unlike sonication and bead-beating homogenization techniques, our mechanical, rotor stator generators probes can quickly and effectively process your cold or frozen sample in mere seconds without producing heat. The tip is to choose a PRO generators probe that is best for your sample size, type and tube. All of our PRO Generator probes are precision crafted with a very narrow clearance between the inner rotating shaft and outer tube/chamber. This allows for quick, effective and repetitive homogenizing, meaning you will get the results you want each and every time. It is important to note that a liquid medium such as a reagent or buffer will need to be added to the frozen or cold sample in order to maintain proper operation of the PRO Homogenizing Equipment. Let's get started choosing a homogenizer setup to best suit your needs!